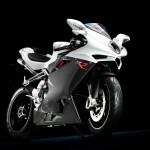 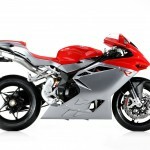 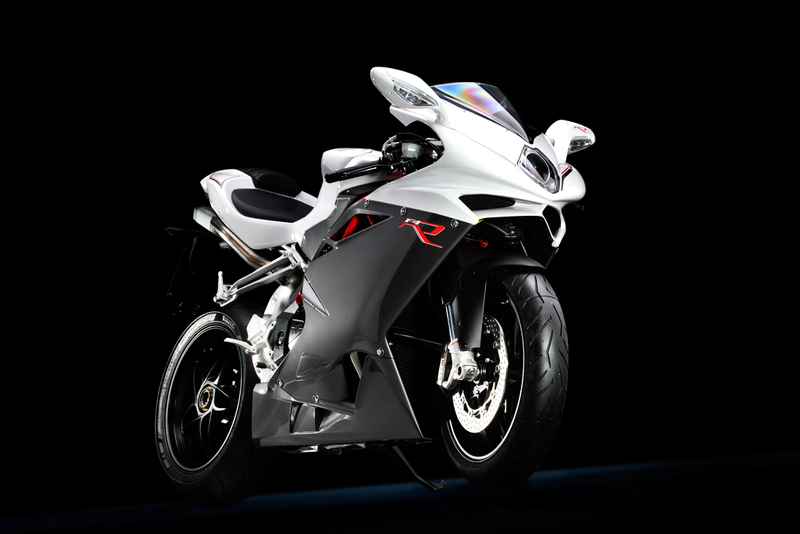 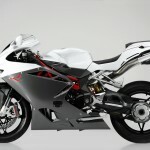 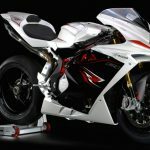 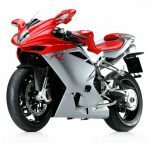 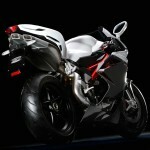 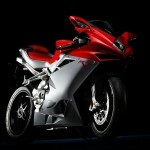 MV Agusta has announced the 2012 edition of its F4 sportbike featuring the new “Corsa Corta” engine from the F4 RR. 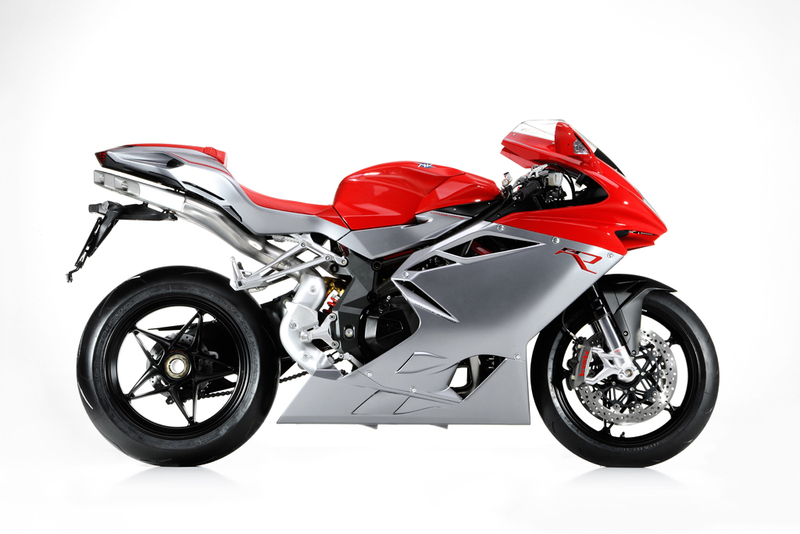 The 2012 MV Agusta F4 R Corsa Corta engine has a 79mm bore and a stroke of 50.9mm, compared to the 76mmx55mm engine found on the previous F4, last updated in 2010. 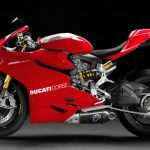 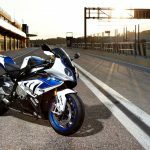 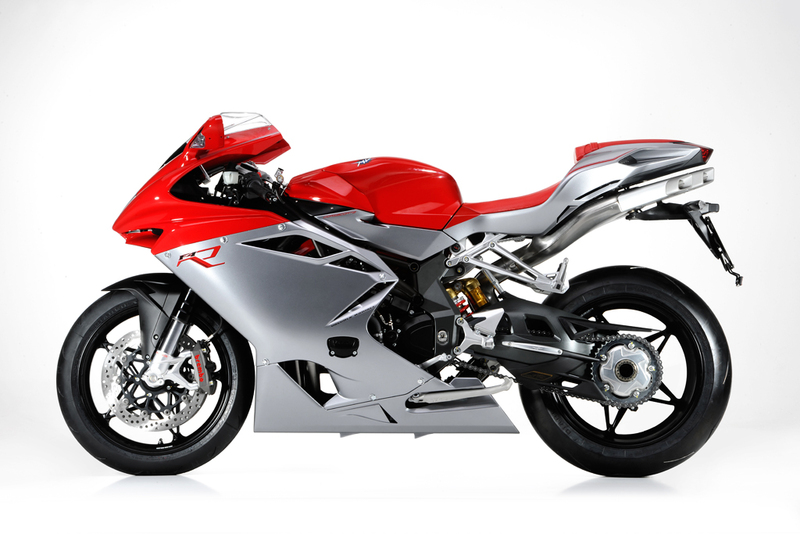 The engine uses titanium valves, a first for production engines, and is paired to a new 4-2-1-4 exhaust with the F4’s signature underseat pipes. 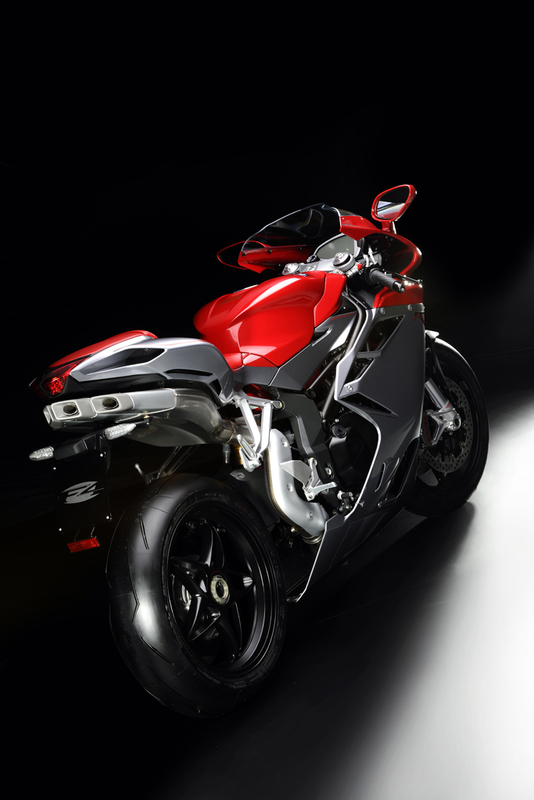 According to MV Agusta, the new Corsa Corta engine produces 195 hp at 13,000 rpm and 82.6 ft-lb. 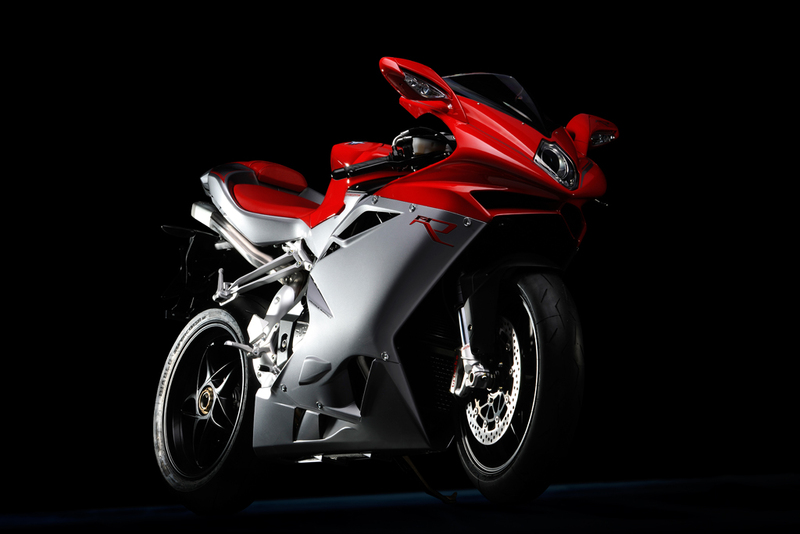 at 9000 rpm. 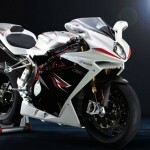 Those figures aren’t as high as the F4 RR’s claimed 200 hp but a boost from the F4’s 186 hp claims. 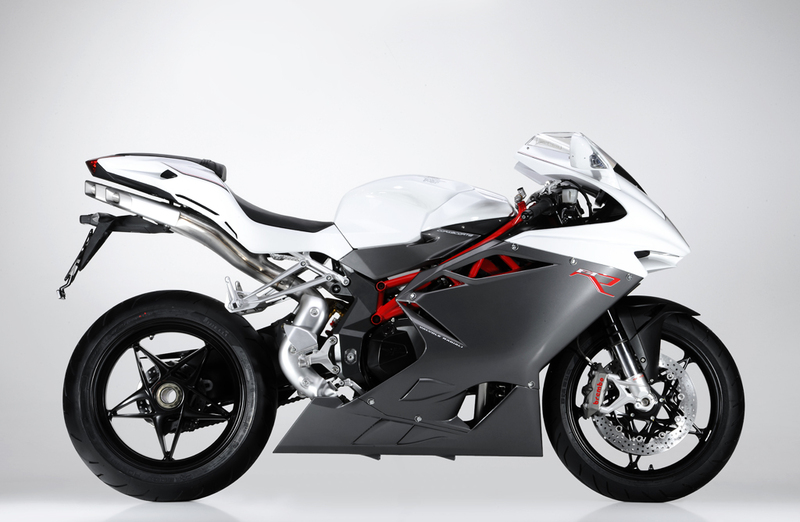 MV Agusta updated the traction control algorithm with two rider selectable maps, selected by a new controller on the left handlebar. 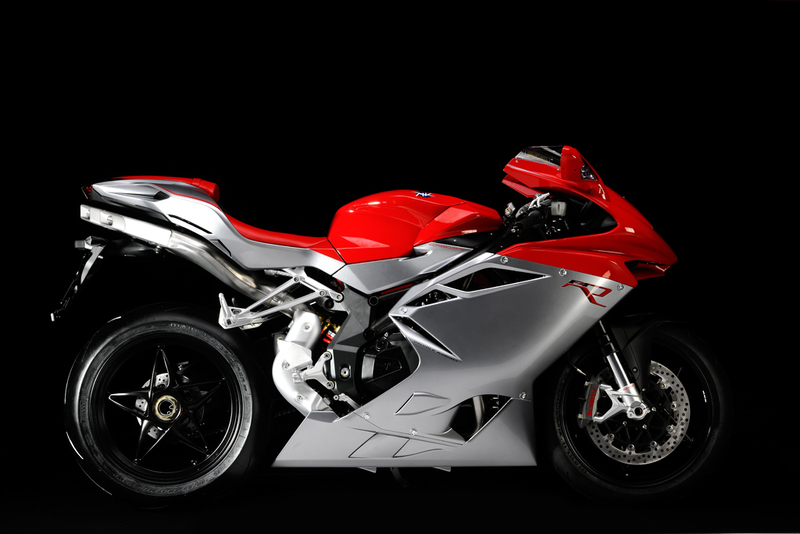 The frame is a MAG-welded chromoly steel tubular trellis frame while the single-sided swingarm is made of lightweight aluminum alloy, said to weigh just 11 pounds. The F4 R is equipped with fully-adjustable 50mm upside-down Marzocchi forks and Sachs rear shock with a nitrogen reservoir. 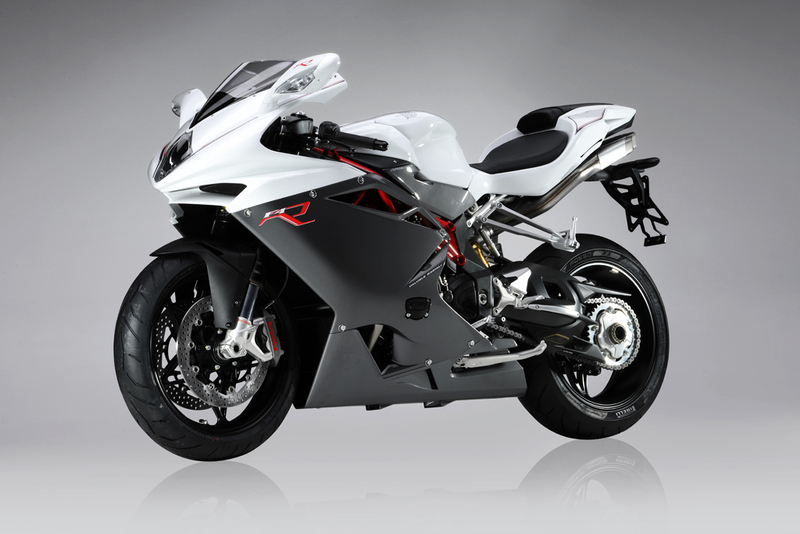 The fully-adjustable rear shock uses a linkage system that can also be adjusted to modify the ride height. 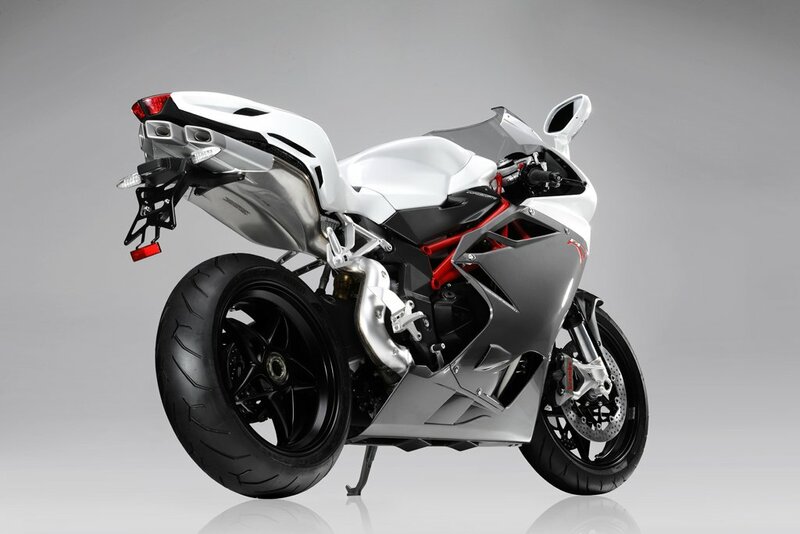 The front brakes use Brembo monobloc four-piston calipers with double 320mm discs while the rear uses a four-piston caliper with 210mm disc. 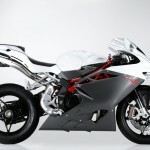 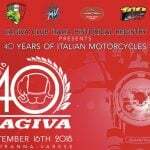 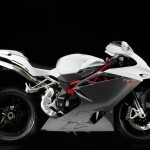 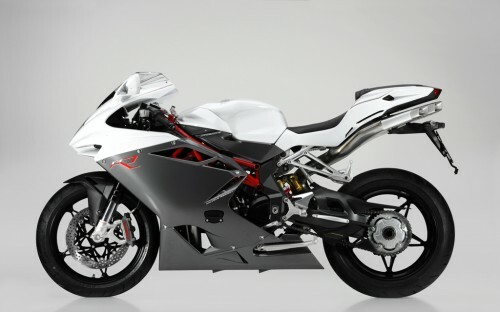 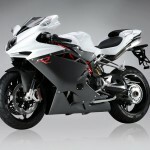 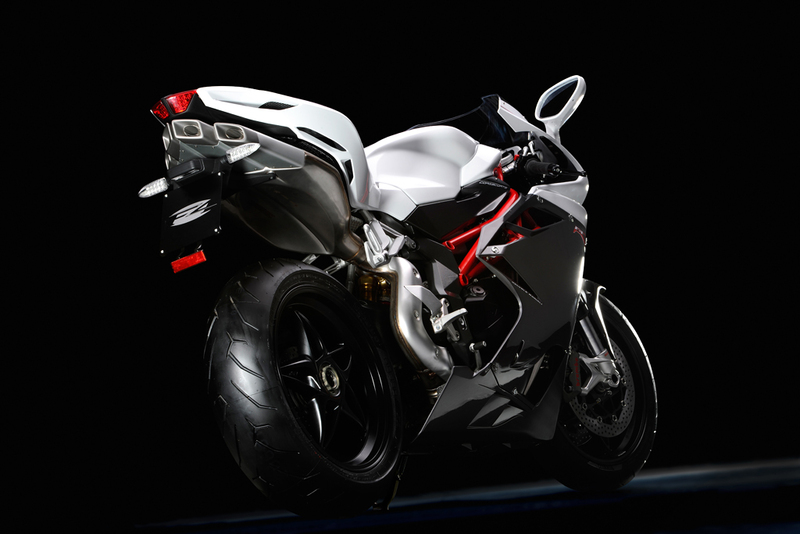 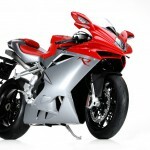 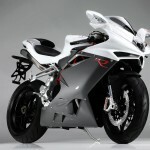 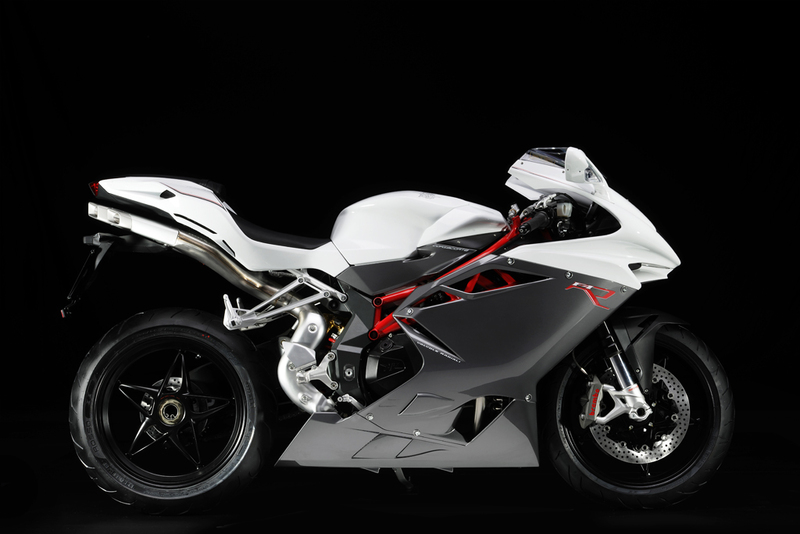 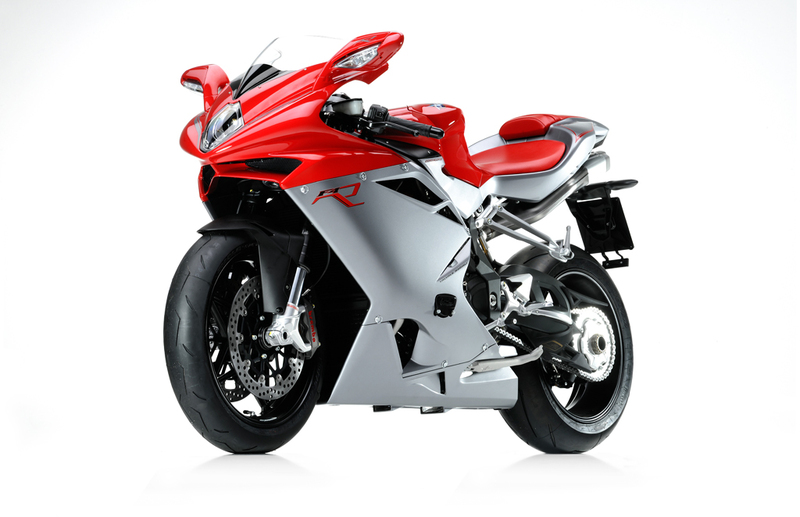 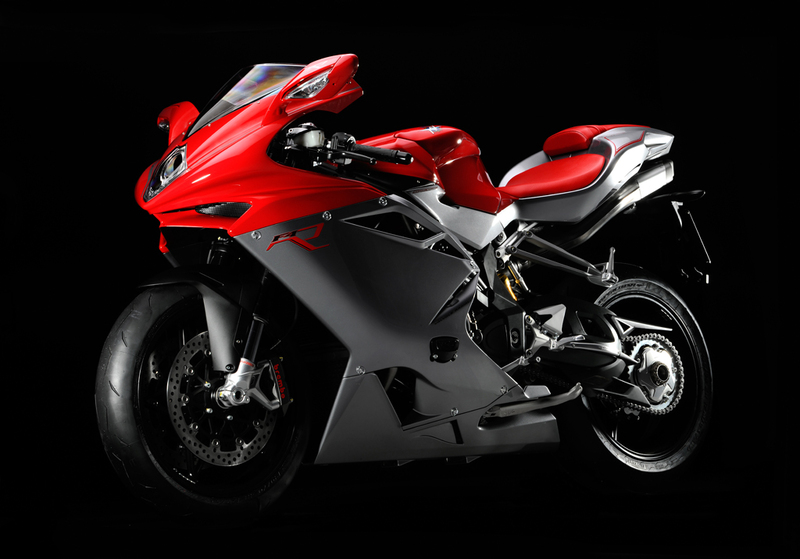 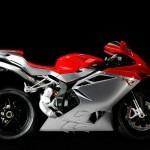 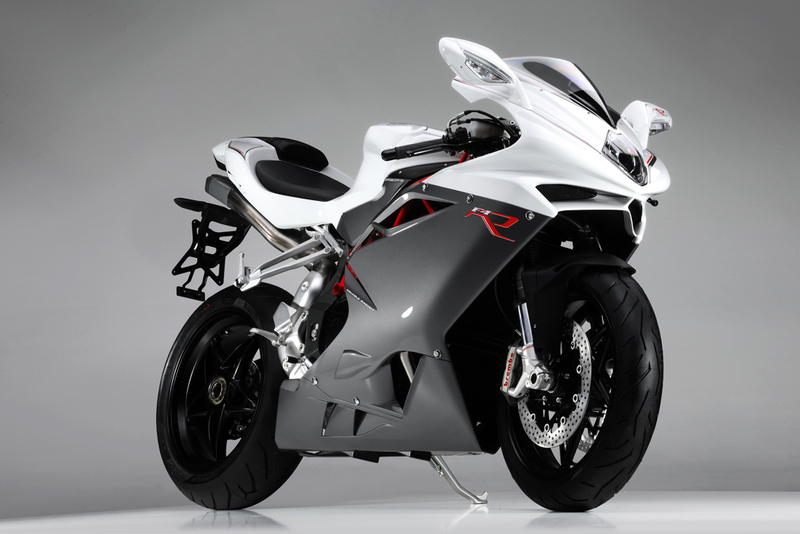 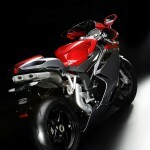 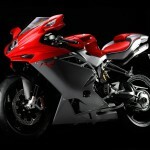 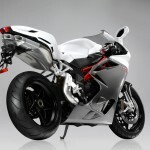 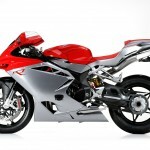 The 2012 MV Agusta F4 R will be offered in a choice of red and gray or white and a darker medium gray. 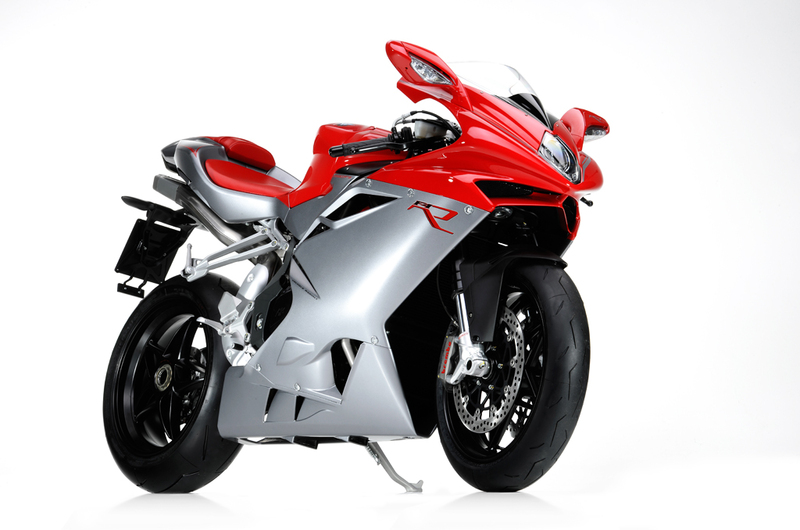 U.S. pricing and availability has not been announced but in Italy, the F4 R will retail for 18,800 euros (US$25,200).